Viewed by many as the founding figure of Western philosophy, Socrates (469-399 B.C.) is at once the most exemplary and the strangest of the Greek philosophers. 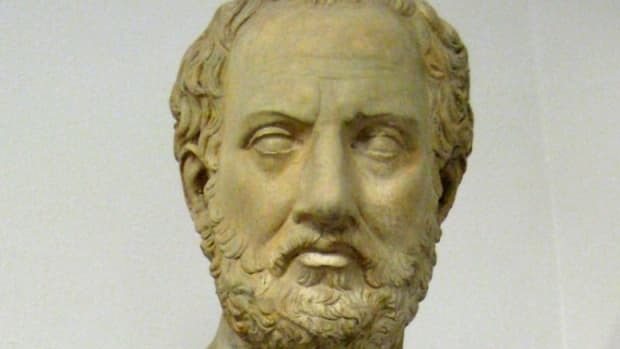 He grew up during the golden age of Pericles’ Athens, served with distinction as a soldier, but became best known as a questioner of everything and everyone. His style of teaching—immortalized as the Socratic Method—involved not conveying knowledge but rather asking question after clarifying question until his students arrived at their own understanding. He wrote nothing himself, so all that is known about him is filtered through the writings of a few contemporaries and followers, most of all, his student Plato. 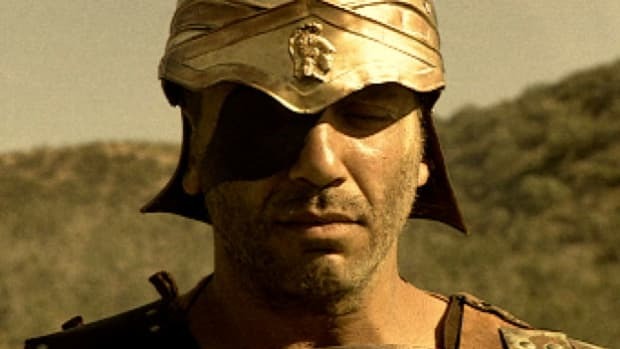 He was accused of corrupting the youth of Athens and sentenced to death. Choosing not to flee, he spent his final days in the company of his friends before drinking the executioner’s cup of poisonous hemlock. Socrates was born and lived nearly his entire life in Athens. His father Sophroniscus was a stonemason and his mother, Phaenarete, was a midwife. As a youth, he showed an appetite for learning. 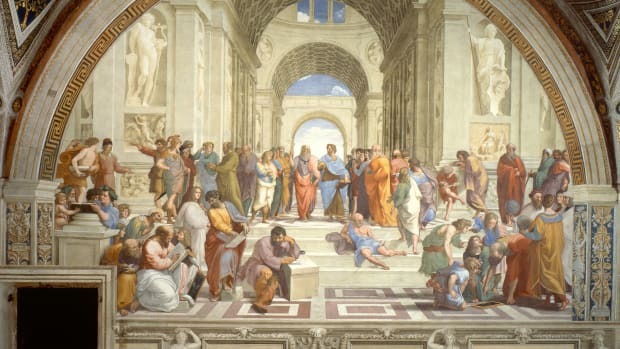 Plato describes him eagerly acquiring the writings of the leading contemporary philosopher Anaxagoras and says he was taught rhetoric by Aspasia, the talented mistress of the great Athenian leader Pericles. Did you know? 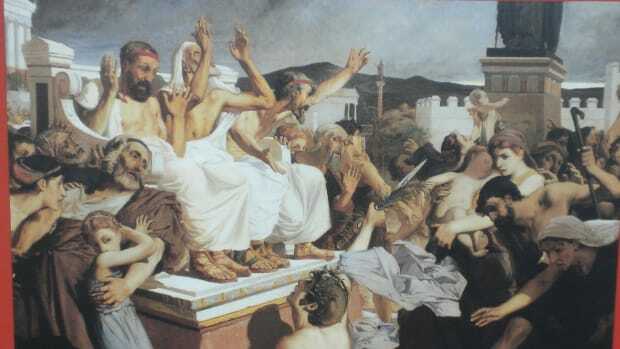 Although he never outright rejected the standard Athenian view of religion, Socrates&apos; beliefs were nonconformist. 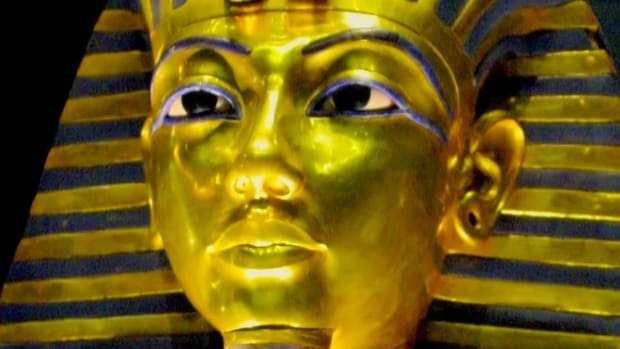 He often referred to God rather than the gods, and reported being guided by an inner divine voice. 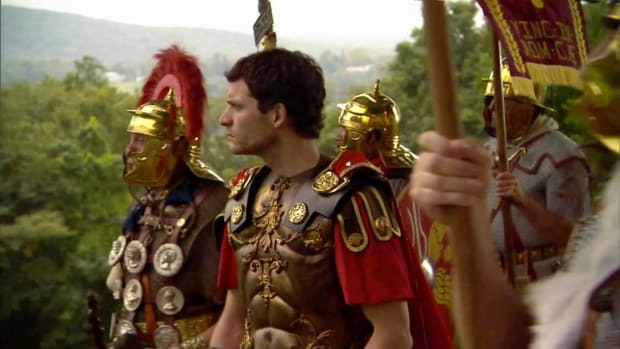 His family apparently had the moderate wealth required to launch Socrates’ career as a hoplite (foot soldier). 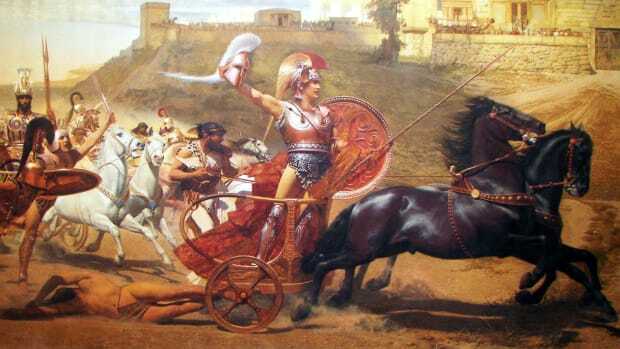 As an infantryman, Socrates showed great physical endurance and courage, rescuing the future Athenian leader Alcibiades during the siege of Potidaea in 432 B.C. Through the 420s, Socrates was deployed for several battles in the Peloponnesian War, but also spent enough time in Athens to become known and beloved by the city’s youth. 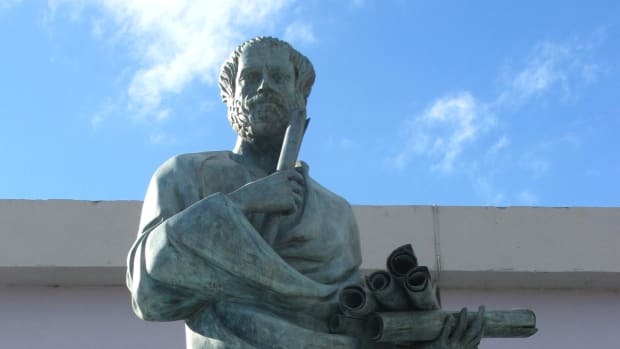 In 423 he was introduced to the broader public as a caricature in Aristophanes’ play “Clouds,” which depicted him as an unkempt buffoon whose philosophy amounted to teaching rhetorical tricks for getting out of debt. 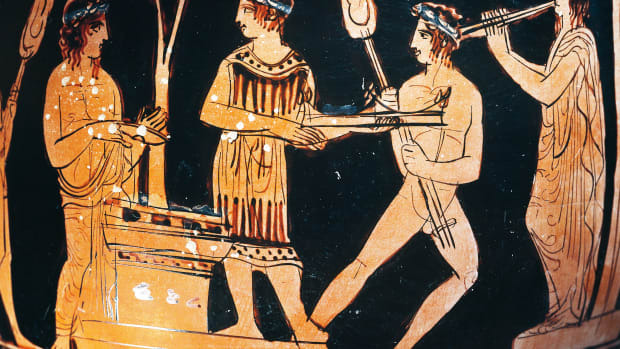 Although many of Aristophanes’ criticisms seem unfair, Socrates cut a strange figure in Athens, going about barefoot, long-haired and unwashed in a society with incredibly refined standards of beauty. It didn’t help that he was by all accounts physically ugly, with an upturned nose and bulging eyes. 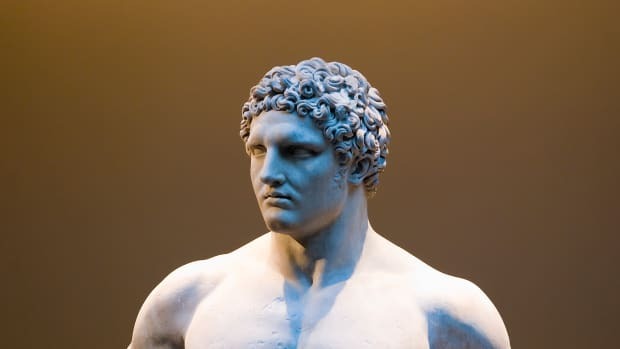 Despite his intellect and connections, he rejected the sort of fame and power that Athenians were expected to strive for. 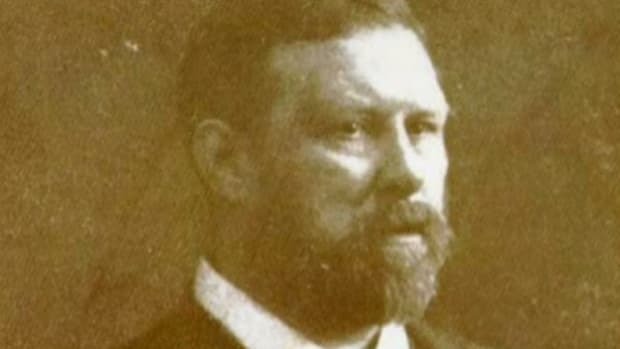 His lifestyle—and eventually his death—embodied his spirit of questioning every assumption about virtue, wisdom and the good life. Two of his younger students, the historian Xenophon and the philosopher Plato, recorded the most significant accounts of Socrates’ life and philosophy. 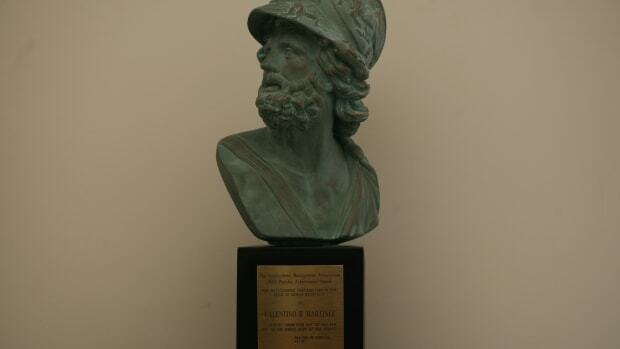 For both, the Socrates that appears bears the mark of the writer. Thus, Xenophon’s Socrates is more straightforward, willing to offer advice rather than simply asking more questions. 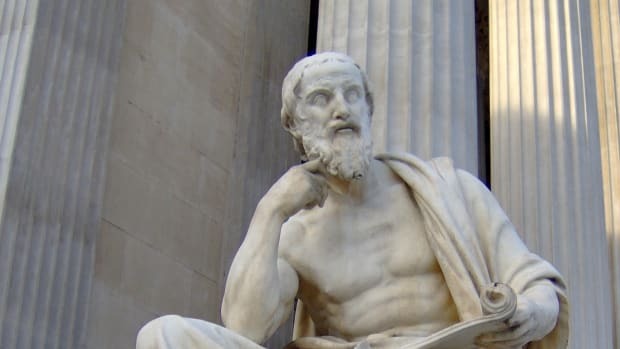 In Plato’s later works Socrates speaks with what seem to be largely Plato’s ideas, but in the earlier dialogues—considered by historians to be the most accurate portrayal—Socrates rarely reveals any opinions of his own as he brilliantly helps his interlocutors dissect their thoughts and motives. 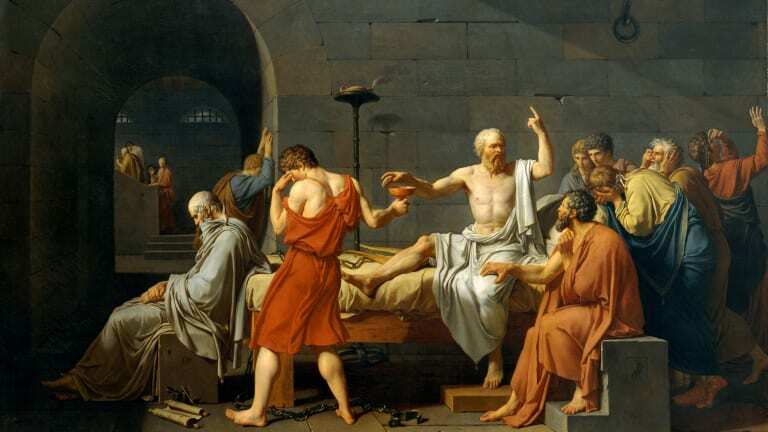 One of the greatest paradoxes that Socrates helped his students explore was whether weakness of will—doing wrong when you genuinely knew what was right—ever truly existed. He seemed to think otherwise: people only did wrong when at the moment the perceived benefits seemed to outweigh the costs. Thus the development of personal ethics is a matter of mastering what he called “the art of measurement,” correcting the distortions that skew one’s analyses of benefit and cost. Socrates was also deeply interested in understanding the limits of human knowledge. When he was told that the Delphic oracle had declared that he was the wisest man in Athens, Socrates balked until he realized that, although he knew nothing, he was (unlike his fellow citizens) keenly aware of his own ignorance.